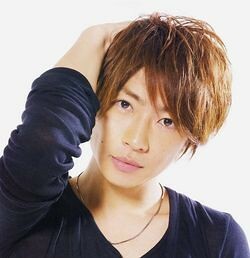 What is your favourite Aiba hairstyle? Least favourite? I think he looks good with anything from medium light brown to black hair. Style wise, I wish he'd stop sporting those 90s boyband hairdos, they're breaking my heart. His hair is usually good length, it's just too often styled in a not so flattering way. I don't like when his hair is too long (mainly early Arashi days) and/or when it looks messy or outgrown (I seek/Daylight). I don't like him with very short hair either, like what he had in 2006. His Kizoku Tantei hair is fine~ when it's styled properly. I agree with a lot of the above! Especially on hair color. The ones below, and then the natural black as well, I think are really good colors on him. I also prefer when it isn't stick-straight. Like when it has been styled to have a bit of curl to it, like this first pic. But I really don't like when it's dyed more yellow than an orange-brown. It just isn't flattering and he doesn't deserve that. 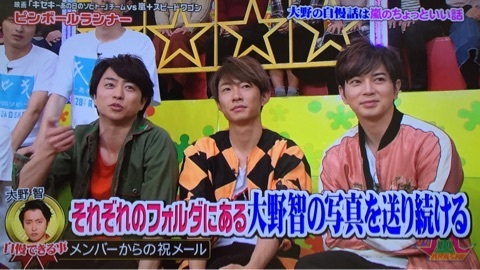 I'm also not a fan of the shorter bangs on Aiba, I think when they grow out a little more they frame his face better! Right? But it kept happening. Although I do think that Nino's was worse than Aiba's, lol. His Kizoku hair is one of my top faves, but I like his Time concert hair days... His wavy brown-blonde hair back then was so cute! Oh, God. Poor Nino and his weird orange-yellow hair. 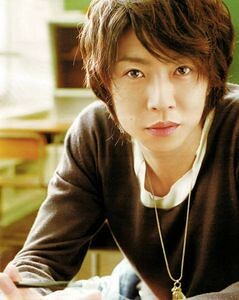 I like Aiba's hair in 2008 and 2009 when is was brown and curly. 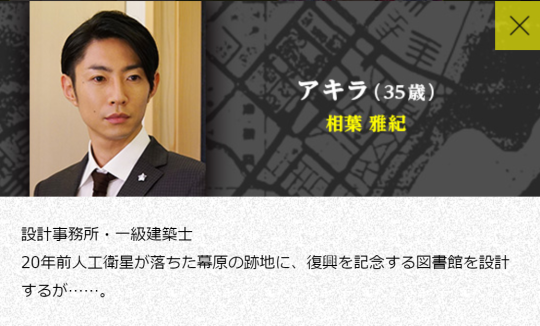 And most recently with his side-part hair like in Kizoku. The way he has the hair right now I really like it a lot. Although he tends to have it dyed in a brown color, I also would like him too keep his natural color as well. So dark *O* But I also like the type of hair he had when he was in My Girl. But I dislike quite a lot when he had it blonde and short. I think it doens´t match with his face and skin. I loved his Kizoku Tantei hairstyle, but omg his current hairstyle is everything I love the style, and the colour is so nice. 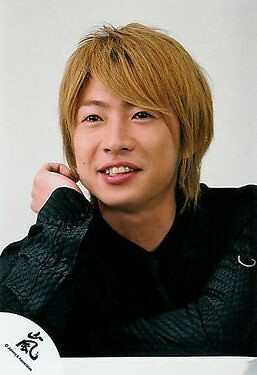 I like Aiba the best when his hair is a warm brown, not too fluffy-ly stlyed and not too long. My favorite one is in Guts! single cover Brownish black with good style, not too messy but give perfect volume to his head. I like it brown. I don't like so much when is too black or too yellow. 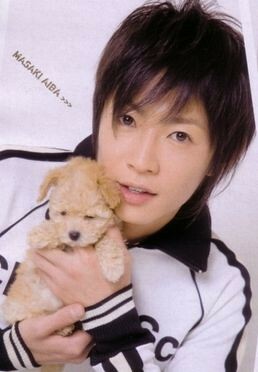 Because not only Aiba had blonde he also had yellow and something kind orange. I like the current style in vsa and the other shows. But I don't like the dorama hair. I don't like it curly, he look so shaggy and messy.